You can never completely count out Saucony, because they give our collections some diversity. We caught a glimpse of a fine silhouette that dropped at overseas retailer, TITOLO , and would definitely say it's a head turner addition for the summer season. new arrival 🔸SAUCONY Freedom ISO "Salmon" available in-store and online @titoloshop Zurich ⬆️ link in bio. 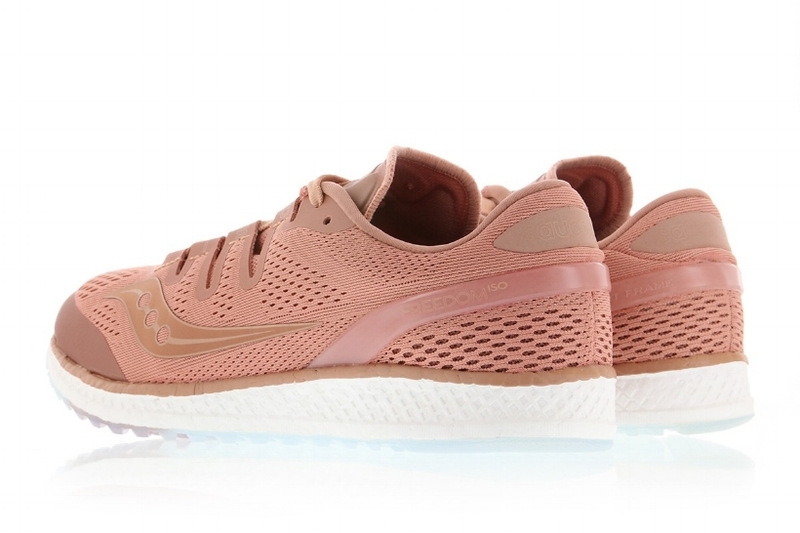 The Saucony Freedom ISO is dipped in a Salmon color with monochromatic luxe detailing covering the silhouette. The Freedom ISO sits on Saucony's EVERUN Continuous Cushioning which prides itself on comfortability, energy return and responsiveness. The ISO-Fit feel embraces your foot with minimal weight. These are currently available overseas and for ladies that can fit in men's sizing, I wouldn't sleep on them. They will run you about $200 USD excluding international shipping rates. Add an updated classic to your sneakHER rotation.